Whitewater Rafting - World's 2nd friendliest rafting center. 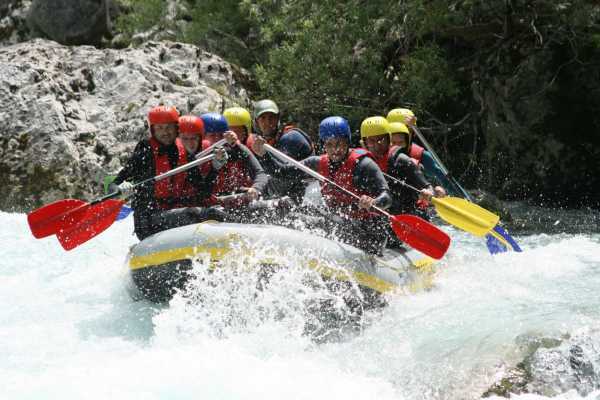 Rafting is the most popular water sports activity on the emerald Soca river. Choose between the morning or the afternoon departures and meet with us in our office on the main square of Bovec. Feel free to browse the photos of your rafting trip as a slideshow or purchase and download your photos!